The Four Seasons Resort offers and beautiful setting with views of the lake for visitors. The sunsets which are seen from the water front are spectacular. 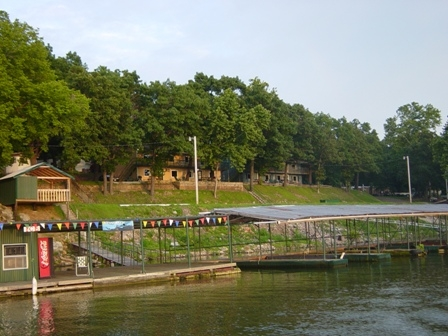 This Grand Lake Ok resort offers eight nicely sized cabins with two bedrooms in each. Each cabin can comfortably accommodate six sleepers. Cabins include air conditioning, television with cable, full sized kitchens and nice bathrooms. Nearby, visitors will have access to a heated fishing dock. The dock is well stocked with a variety of fish including spoonbill, catfish, crappie, and bass just to name a few. 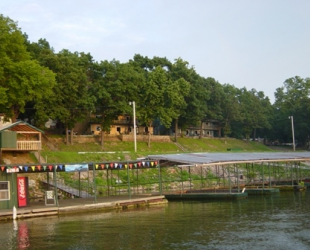 A marina is available for convenience which covers needs for gasoline, oil, food items, fishing items, and more. 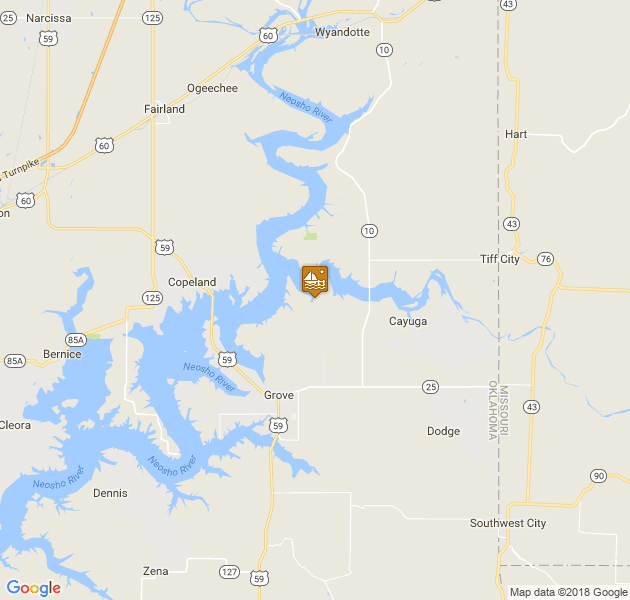 RV hookups are also available at the Four Seasons Resort along with boat slip rentals. Large groups are not a problem at this location and all are welcome to visit!